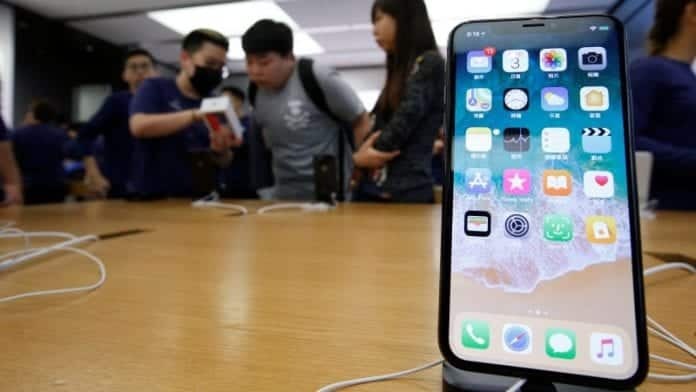 The much anticipated Apple’s 10th-anniversary smartphone, iPhone X went on sale across the globe on November 3, with thousands of customers waiting to get their hands on the device. Also, the steep price of the smartphone has not deterred people from queuing up at Apple retail stores, which only indicates the huge demand for the iPhone X. To ensure that the massive delivery demand for the iPhone X is met, Apple has been working overtime wherein its recent promise delivery time frame has been reduced one to two weeks on all models of the iPhone X. Now, Apple has been accused of violating local labor laws by depending on students working illegal overtime to build the iPhone X to catch up with demand after production delays, through its Chinese manufacturing partner Foxconn, which produces the devices in Zhengzhou, China, reports Financial Times. The students working at the Foxconn plant, are a part of the school internship program of a three month “work experience” placement, run by Hon Hai Precision Co Ltd (Foxconn). They were routinely working 11 hours per day assembling the newest smartphone, in violation of local labor laws barring students from working more than 40 hours per week. An earlier report by the Financial Times cited six students who worked overtime at the plant were among a group of 3,000 students sent by Zhengzhou Urban Rail Transit School for an internship program in September. The students aged between 17-19, were being forced by their school to participate in the internship for three months to get “work experience in order to graduate”. While the school declined to comment, both Apple and Foxconn acknowledged there were cases of student interns working overtime. Foxconn told the newspaper that “all work was voluntary and compensated appropriately” but acknowledged that “the interns did work overtime in violation of our policy”. According to a long-time Foxconn employee, the Zhengzhou factory every year hires students between August and December, which is its busiest season. The hiring number at the plant exceeds more than 300,000 workers, producing up to 20,000 iPhones a day. However, when it came to the need for seasonal workers this year, the number was greater, the employee added. Apple and Foxconn in the past have been criticized for hiring underage workers, for excessive overtime, and failing to provide health insurance.